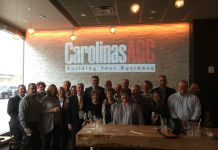 The 2016-2017 board for the North Carolina Subcontractors Alliance (NCSA) includes: Chris Paone – Christopher Bryan Company; Don Hanson – Noble Insurance Advisors; Michelle Frankum – Axiom Foundations; Don Deane – Deane & Dagit CPA; Duff Regan – Regan and Associates; Art Rouse – Rouse & Associates; and David Carson – Johnston, Allison & Hord. Chris Paone was presented with plaque at the June meeting showing the NCSA’s appreciation for the service and dedication that he has shown over the last two years as president. 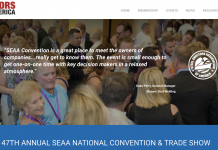 The NCSA’s next event will be the annual General Contractors Round Table on Sept. 20 at the Crowne Plaza Charlotte Executive Park. Registration details will be available soon.